Paranormal Pop Culture: Mary Jane to join 'Amazing Spider-Man' sequel? Mary Jane to join 'Amazing Spider-Man' sequel? 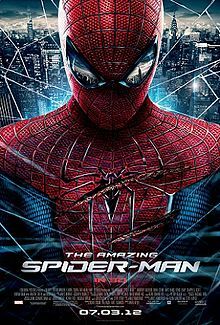 Face it, fans of Sony Entertainment's summer blockbuster, The Amazing Spider-Man, you may have just hit the jackpot because a couple reports are suggesting a sequel to the reboot is gaining even more steam. According to The Hollywood Reporter, Shailene Woodley (The Descendants) will be playing Mary Jane Watson in the franchise's next installment. Woodley has a pretty booked schedule but "the Mary Jane role is proving to be only a very small part in Amazing Spider-Man 2 but blossoms into an integral lead for the planned third movie as the studio seeks to build to the classic 'Death of Gwen Stacy' story." Meanwhile, ComingSoon.net is also reporting that "Andrew Garfield is confirmed to return for the May 2, 2014 release and Emma Stone is a near-certainty as well." What are you most looking forward to seeing in The Amazing Spider-Man 2? Were you hoping for a Peter/Gwen?MJ love triangle? Any theories about who the main villain will be? There are a lot of theories out there but no confirmations yet. Will script writers (Alex Kurtzman, Roberto Orci, Jeff Pinkner and James Vanderbilt) stay true to the comics by having Gwen's demise remain at the hands of the Green Goblin? Stay tuned for more developments.